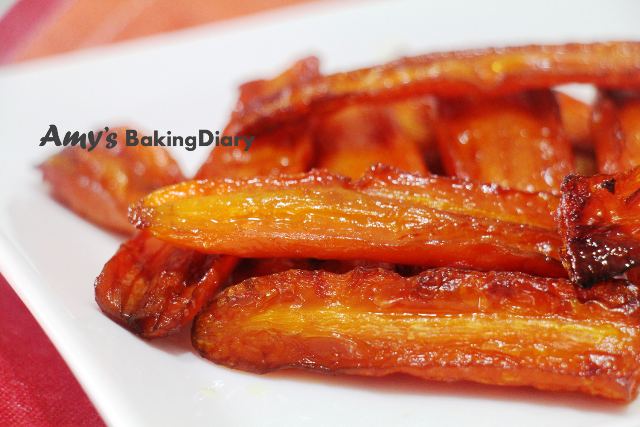 I really love these roasted carrots. 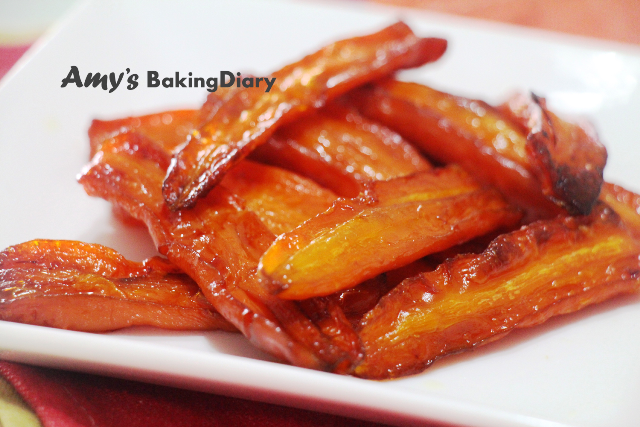 Coated with brown sugar and Balsamic, they are so tender, sweet and citrusy. It has chewy texture, which outside is firm and inside is soft. 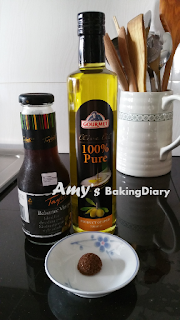 Brown sugar and balsamic vinegar really go well with carrots and they are simply perfect combination. 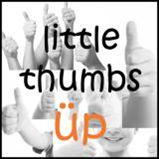 I alone finished 500g of carrots and they are so totally yum! (1)Heat oven to 180°C with fan or 160°C without fan. 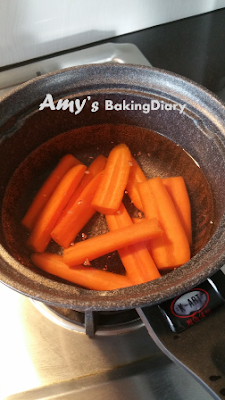 (2)Cook carrots in boiling water for 10-15mins, until they are starting to soften, but still have some bite. Drain and pat dry. 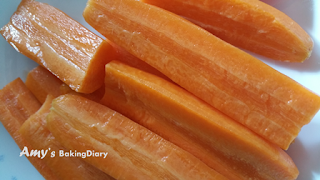 (3)Spread the carrots out in a roasting tin, drizzle with the oil and vinegar, then sprinkle over the sugar. 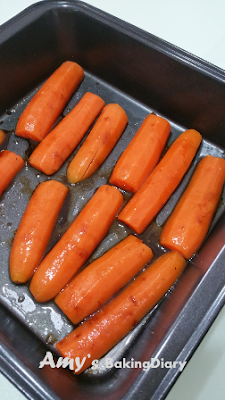 Season well with sea salt and black pepper, then roast or 45mins, turning occasionally, until the sugar has caramelized and the carrots are soft and tender. 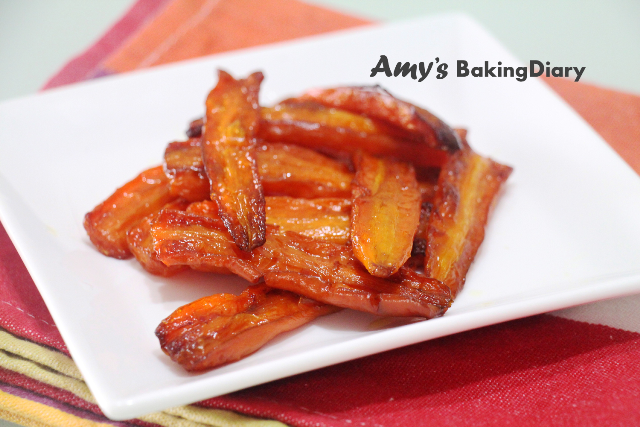 Hi Amy, this roasted carrot with sweet citrus taste must be delicious ^-^! I'm a Bugs bunny with two large front teeth... And these will be my fav carrots... LOL!